The last TIE fighter by Igor Tkac. 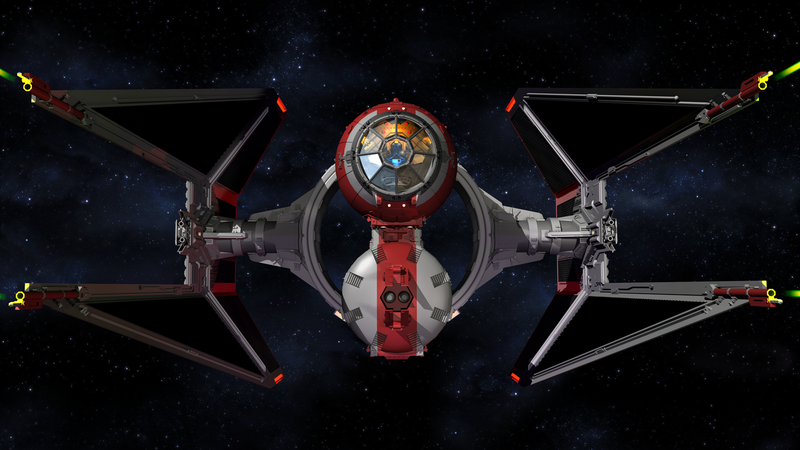 With the Imperial fleet diminishing and Imperial bases around various systems compromised, out of desperation, Vader ordered a secret factory to build a new radical TIE fighter to combat the rebel alliance. 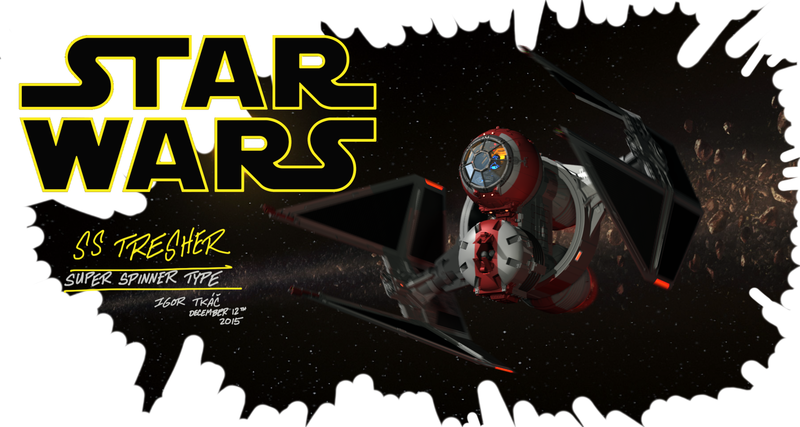 Code named the SS TRESHER, this Twin Ion Engine fighter was bigger, faster and more powerful then its earlier predecessors with spinning guns being its most notable characteristic. Only four TRESHERS were ever built and three of those were aboard the Death Star when it was destroyed. Han Solo once admitted to REBELS magazine that it was him and not Chewbacca who crapped his pants while evading a TRESHER spinner a few parsecs from Mos Eisley. He was quoted as saying, "I've never spun the Falcon so many times". It is rumored that there is one last TRESHER TIE remaining, buried deep in a destroyed Imperial base on the Forest Moon of Endor.